I just got finished installing the Babicz bridge I bought last week and I'm pretty impressed with it. It's a high mass bridge with locking saddles, preventing movement that would screw up saddle height as well as intonation. I really didn't want to go this route mainly out of vanity, because I thought it would look ridiculous. But I didn't want to use polish or loctite to keep my Fender saddles stable. I just wanted to set the damn thing and forget about it. This should do the trick. Anyway, without measuring, I'd say the bridge has a footprint and weight that's similar to a Badass II, but with a little higher profile. It's extremely solid and well made. The saddles all make full contact (hence the name of course) with each other and with the bridge plate for maximum transfer of sound, sustain, etc. 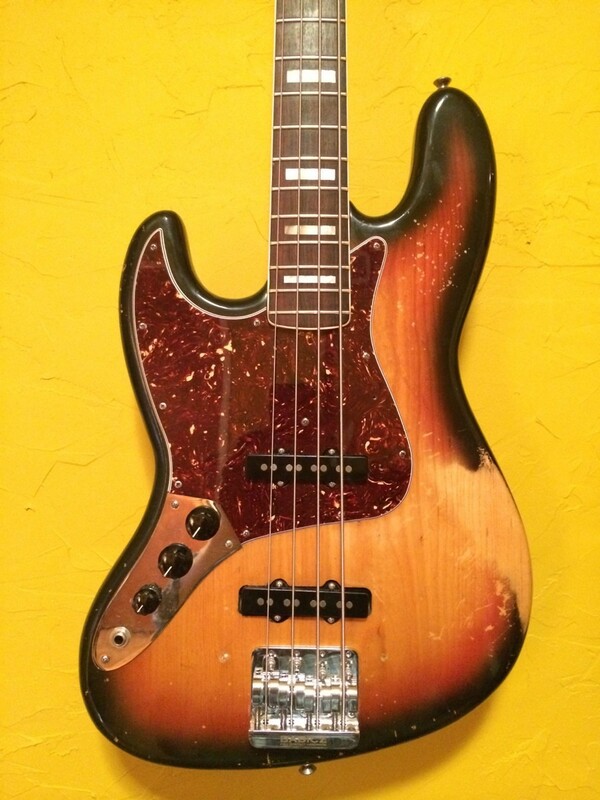 This particular bass never had any issues with sustain and has always sounded great, but tonally I do notice an added treble zing that sounds really good. Installation was of course more tedious than your average Fender bent bridge. You have to remove everything from the bridge plate in order to bolt it to the body. This is a drop in, 5 hole mounting pattern for Fender basses ,so no mods required. 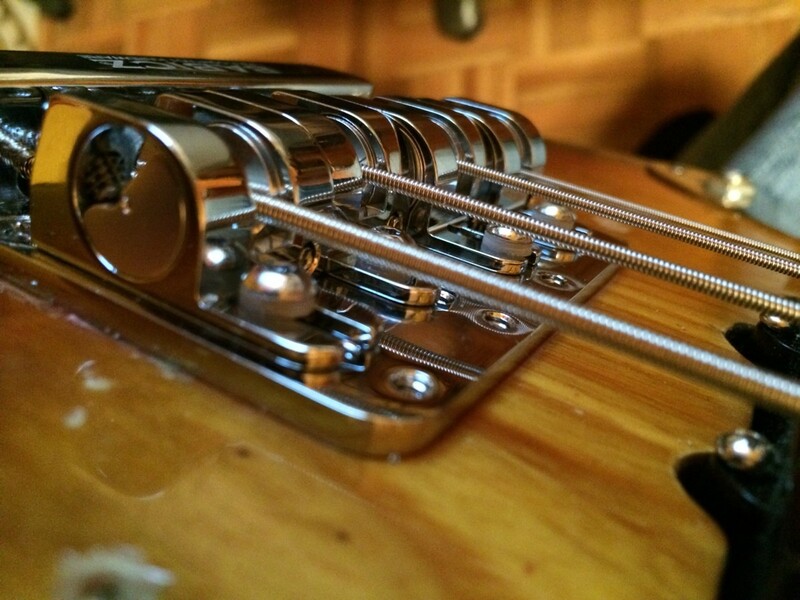 However, the mounting screws' threads are a tiny bit more stout than the ones on the Fender bridge, so that's something to consider if you're retrofitting and have commitment issues. Here are a few pix. Here you can see the allen screws that lock the saddles down once you set intonation. Check out the set screws on the back of the saddles. The one on the right side adjusts string height, and the one on the left locks the saddle to prevent up/down movement. This one shows the cams that adjust string height. 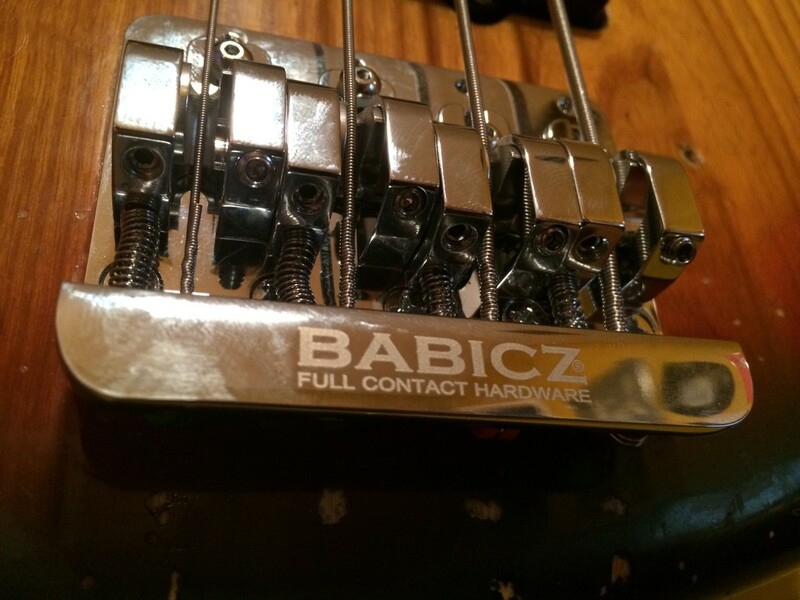 I have a Babicz bridge on a bass and I like it too, but to me it's function is the same as a Badass II, which I know you don't like. Both are cool to me but I prefer the Badass II. My problem with the BAII is just that it's not always the drop in replacement that it's touted to be. 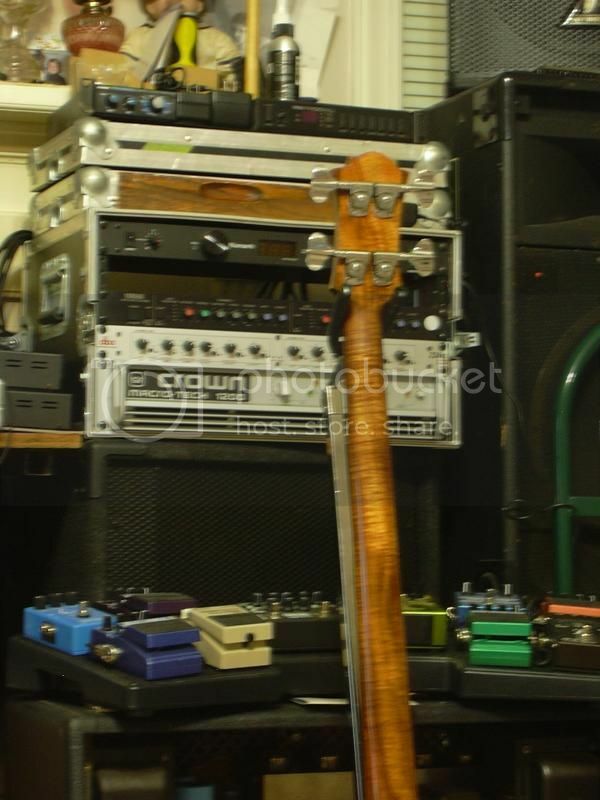 This bass and my 78 Precision I had a couple years ago both came to me with BAIIs on them. Both were unplayable, and both had shimmed necks. I ditch the shims, drop a Fender bridge in both, and boom. They play magnificently (except for the saddle issue with this bass obviously) right off the bat. I've had several other similar experiences with those bridges over the years, and I just don't understand the appeal. I hate sky high action. I used to put a Badass on all my instrument until I started to use flatwound strings. I then realized it added some sparkle and sustain which did not work with flats. I just went back to bent metal Fender bridges. My first experience with a Babicz came stock on my 2013 Gibson EB bass. While I felt it was a well-made, solid piece of hardware I had buzzing problems with it. I found that when the bridge lock was engaged, the A string would buzz and rattle. Once I made further adjustments and unlocked the bridge, everything was fine. 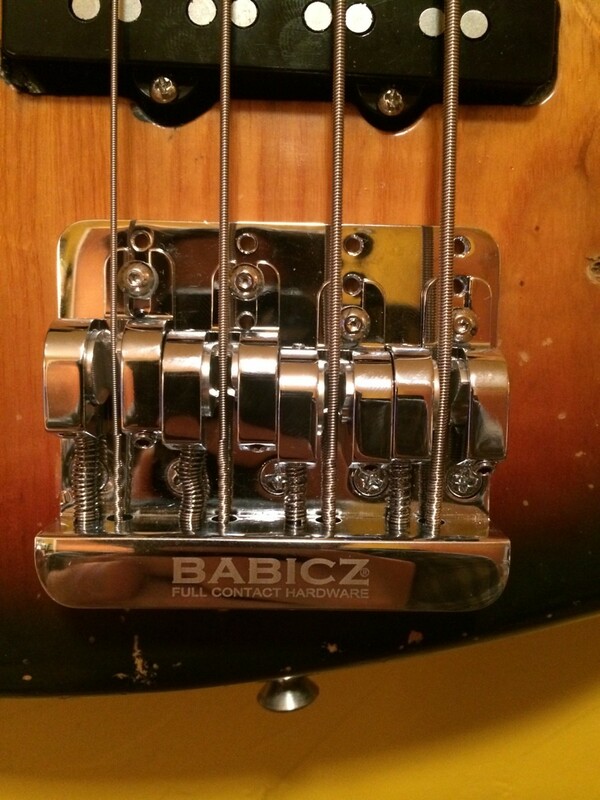 Based on my experience with the Babicz and the G&L locking bridges, I've found zero benefit from a locking bridge option other than the strong possibility of losing the little allen adjustment screw (Lost the one on my G&L a long time ago). It just seems like an unnecessary option, IMO. Yeah I could absolutely agree the saddle locks could be superfluous on most instruments. But my bass had some kind of weird resonance going on (of Fender had a run of bad saddles) so I found it absolutely necessary and it's been solid ever since. And it's weird, I've not had any buzzing problems on mine and it's locked down pretty hard. Other than how it looks, I'm completely satisfied with the bridge. Side note- I just had this beast refretted, planed and Plek'd. It's amazing. I've only seen photos & vids, but the Babicz always struck me as an exceedingly well designed unit. Very nice pics with excellent detail!!!! to support a taller bridge. If the neck angle isn't there a BadAss II will do. needy with temperature & humidity changes. When it needs adjusting, I have a ritual. Straighten the neck, retune, check for straight, repeat. Adjust intonation, retune, repeat. Adjust string height, retune, etc. 10 minutes!!! that hand moves forward by the radius of the clock face (almost). On a 1/2" cam that is a 1/4" travel. to know ahead of that time just what is what!!!!!! !